League expansion news and rumors pop up regularly and it is hard to keep track of who said what, where and when. Midfield Press has created the News & Rumor Tracker as a monthly installment following the word on the web about possible future North American Soccer League clubs. As bonus content, we also provide rumors on United Soccer League expansion, Major League Soccer expansion and the proposed Canadian Premier League since much of that information comes up during our research. You can find the league expansion rumors below in that order, with the logos indicating the start of that league’s section. 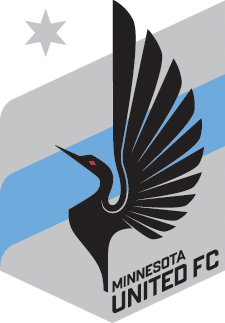 The formal announcement that Minnesota United FC will be joining MLS for the 2017 season was the big expansion news for the past month, both in terms of the timing of their entry to the league and the fact that they are being allowed to keep their name and logo. Beyond this, the battle for Nashville was over before it ever really begun, with the Nashville NASL group refocusing their efforts on bringing MLS to the Music City rather than fighting a lower league soccer war against Nashville FC. The Ottawa Fury made headlines with reports that they may leave NASL at the end of the 2016 season. While Ottawa leaving the league is not altogether surprising since they have been heavily rumored to be part of the planning of the Canadian Premier League, the idea that Ottawa might seek to reduce operating losses by switching to USL ahead of a CanPL move is a surprise, especially given USL’s escalating expansion fees. Along with Nashville, Phoenix became a more serious contender for one of the final MLS berths with the acquisition of Arizona United SC by a more ambitious ownership group with deeper pockets. Meanwhile, Don Garber suggests MLS will top out at 28 teams. Bill Peterson told the several outlets that the North American Soccer League is in serious talks with as many as six groups. “The interest has never been higher. If we were to close every advanced discussion we are in today, we would be at 20 teams. That’s not going to happen. Most likely it is not going to happen. People start the process for a number of reasons, and sometimes they leave the process for a number of reasons too, once they see how much work is involved, and the effort it takes to be successful. So, for us, we feel like we’re on track. We continue to expand. We expect to make some announcements this year about further expansion,” Peterson said to the Cosmos Country Podcast. 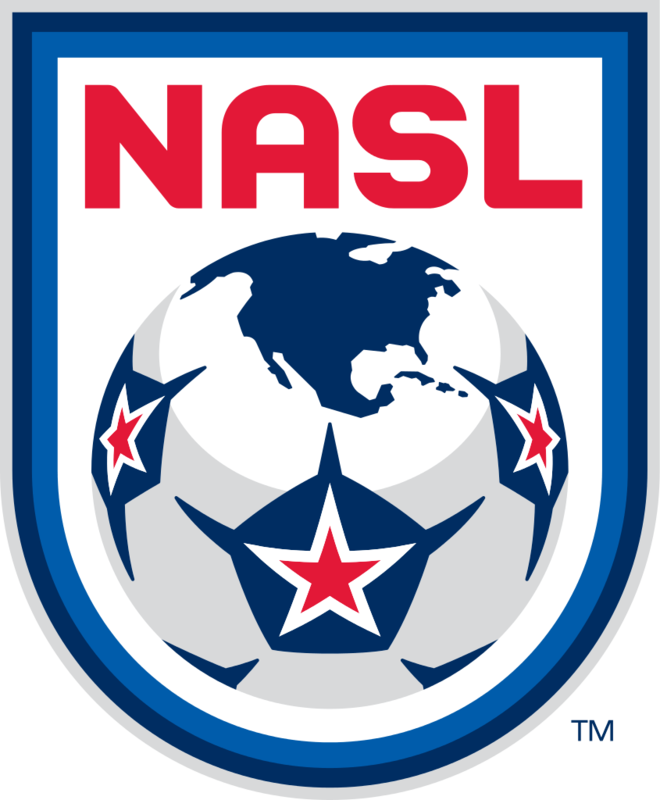 Since that time, the Nashville NASL group ended their pursuit of a franchise in order to focus on bringing MLS to town, weeks after Orange County investors ended their bid reportedly due to projected costs from NASL’s lawsuit with USSF. On a positive expansion front for NASL, the San Francisco Deltas continue to impress with their preparation for the 2017 season, naming respected former Ottawa manager Marc Dos Santos as their skipper and engaging season ticket holders to vote on the club’s first home kit. 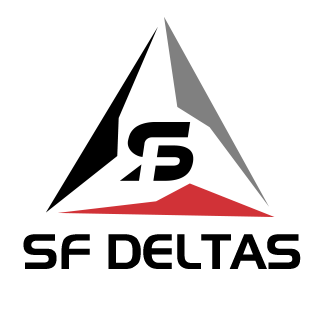 Summary: Led by Silicon Valley entrepreneur Brian Andres Helmick, the San Francisco Deltas will debut in the 2017 Spring Season, playing out of Kezar Stadium. The club will invest several hundreds of thousands of dollars to make improvements at stadium. The Deltas have started to collect season ticket deposits on their web site. September 2016 Update: The Deltas had a great month, making two major moves that give hope they will be a top NASL franchise. The first move was naming Marc Dos Santos, who led the Ottawa Fury to the Soccer Bowl last year, as their first head coach. Dos Santos is an exciting choice not only because he had success with Ottawa, but because he has the experience of building that club from the ground up in 2014, and taking them to the title game the following season. Beyond this, the Deltas demonstrated remarkable fan engagement with their contest to let season ticket holders vote on the club’s first home kit. More on the San Francisco Deltas: http://sfdeltas.com/ and Midfield Press’ interview with Helmick. Summary: Peter Wilt is leading a group including Club9 Sports set on bringing a NASL team to Chicago. Chicago NASL has identified Soldier Field, Wrigley Field and US Cellular Field as its ideal places to play. The team solicited fan suggestions for its official name and colors on its web site, and they will narrow down the finalists and allow fans to vote on the name. 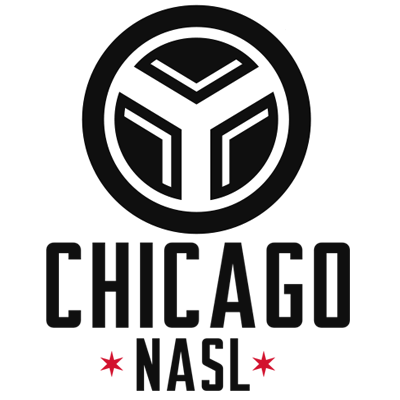 The classic NASL moniker Chicago Sting is likely to be one of the options, having received a plurality of votes in the initial survey. Other fan suggestions included Chicago City SC, Municipal Chicago and Wild Onion FC. Peter Wilt provided a status update in June to fans on the Big Soccer forums. When a poster stated that things were not looking likely for 2017 at this rate, Wilt replied, “Yeah….not for Spring season….and i’d prefer not going with a Fall launch if possible, which means Spring, 2018 is more likely. Lack of a venue agreement is causing the delay.” Peter Wilt confirmed last month to Midfield Press that the group is focused on a 2018 start date at this point due to its venue search. More on Chicago NASL: http://www.chicagonasl.com/, Peter Wilt’s February 2016 AMA and Midfield Press’ interview with Peter Wilt. The Atlanta Journal-Constitution reported that a NASL team may be coming to DeKalb County, just east of Atlanta. A group is looking at building a soccer complex that would host both a NWSL team, referred to as the Atlanta Vibe, and a NASL team, referred to as the Atlanta Chiefs. While the Chiefs brand is from the classic NASL era, its use is inadvisable in a contemporary context. September 2016 Update: Nothing new. Empire of Soccer reported in their January 21, 2016 piece on Bill Peterson that several sources are telling them that Las Vegas is one of the markets that NASL is discussing with interested potential ownership groups. A later EoS article dated January 27, 2016 includes a comment from Bill Peterson that an attempt to move the Scorpions brand to Las Vegas this past offseason was rejected by the NASL Board of Governors: “All the pieces weren’t in place,” he said. Since these comment appears to be from the same interview, it would seem Las Vegas is still in play but the Scorpions brand there may or may not be. Cosmos Country Podcast previously reported that a Las Vegas investor group was at the Board of Governors meeting in New York prior to the Soccer Bowl. Recent rumors on Big Soccer from an in the know poster suggest that USL may also be trying to bring a team to Vegas. The most recent NASL related activity in Las Vegas was the New York Cosmos friendly versus SD Eibar of Spain in Sam Boyd Stadium. The friendly was sparsely attended, which might call into question the suitability of Sam Boyd as a NASL venue. San Diego is one of the markets that NASL is discussing with interested potential ownership groups, according to Empire of Soccer’s January 21, 2016 article on Bill Peterson. San Diego is also the subject of MLS expansion rumors, with former San Diego Padres owner John Moores, and current owner Peter Seidler, separately linked with MLS bids. San Diego has also been the subject of USL rumors, with NBC San Diego reporting that a group is close to securing a USL team for 2017 to play out of Torero Stadium. Summary: Midfield Press has been in contact with a representative from a Los Angeles group that is in the NASL expansion process, after following a tip from an independent source. We are not reporting their identity at this time out of respect of the process involved. Per league policy, NASL would neither confirm nor deny that the group was in the process when approached by Midfield Press. Depending on how the process advances, the group could see debuting as early as Spring/Fall 2017. We hope to share more when the LA group is ready to come forward. September 2016 Update: Our contacts at the LA NASL group say their process continues. Summary: British tabloid The Sun reported that Celtic FC looked at putting a team in NASL. Boston, Detroit and Hartford were cities Celtic FC considered according to an in-the-know Big Soccer poster. Boston may be blocked due to a marketing agreement between Celtic FC and the Boston Celtics. Celtic Underground recently reported the club executive Peter Lawwell will be traveling back to the USA this summer to re-engage NASL talks. Celtic Underground’s @celticrumours twitter account mentioned hearing talk of Philadelphia and the West Coast as locations the club was eyeing. In the wake of the Rayo OKC disaster, many NASL fans would be happy to see the league pass on another colony club expansion. 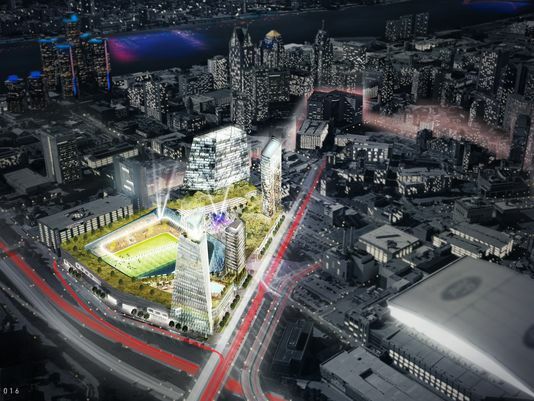 Detroit has come into focus as a target of MLS, with Detroit Pistons owner Tom Gores and Cleveland Cavaliers owner Dan Gilbert teaming on a bid. In September 2015, a Detroit expansion group presented at the NASL Board of Governors meeting alongside San Francisco and OKC, according to reporter Sulaiman Folarin. Neither group was connected to Detroit City FC. Bill Peterson told the Cosmos Country Podcast in July that there was a Midwest expansion group other than Chicago in the mix. Detroit is the only other Midwest city to date with any tangible NASL link. 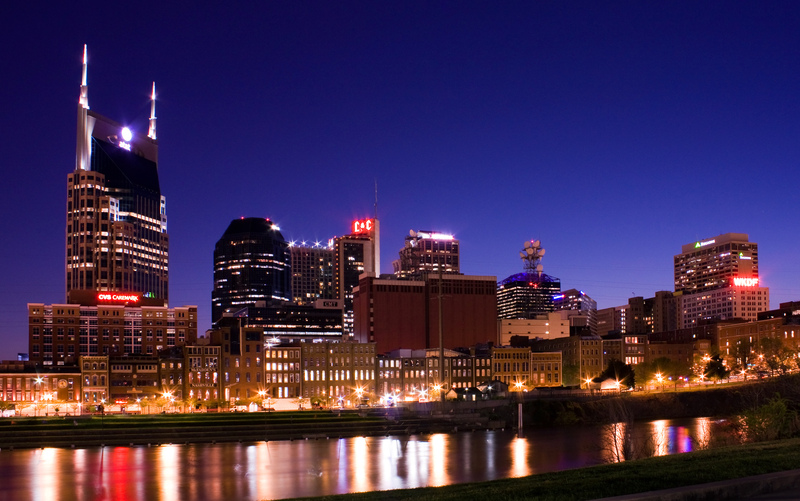 Summary: Nashville was the subject of pro soccer efforts by both USL and NASL groups. USL has announced Nashville FC as a 2018 expansion team. Former Tennessee Economic and Development Commissioner Bill Hagerty, who led the Nashville NASL group, has decided to change course and focus on bringing Major League Soccer to Nashville. Graduated: Miami FC. Rayo OKC. Puerto Rico FC. Transferred: Hamilton, Ontario (to CanPL). 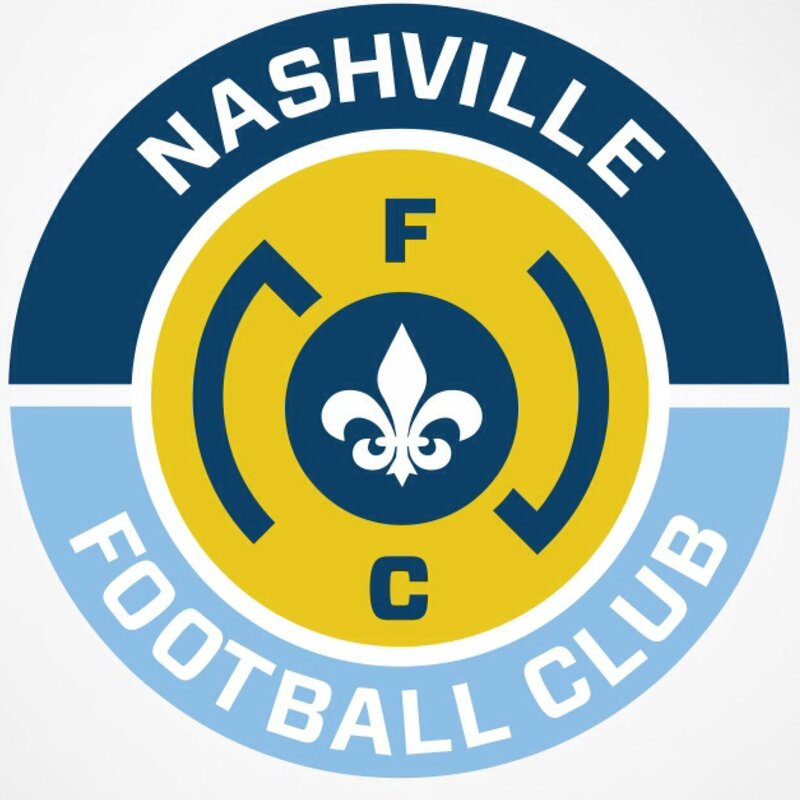 Flunked Out: Nashville, Orange County, Hartford City FC, LA Aztecs. Scratching the Pitch reported that USL expects to have 30 teams competing in 2017, which means that another club will be announced for next season if that report is correct. With Reno joining, Austin remaining on-hiatus and Wilmington sitting 2017 out as it prepares to relocate to a bigger market, USL looks to be sitting on 29 teams at this point. Previously the local NBC affiliate reported that a San Diego USL team may start play in 2017. Another rumor is that the Ottawa Fury jump from NASL to USL for the 2017 season. Summary: Reno 1868 will start play in 2017. The club is owned by billionaire Herb Simon, who also owns the NBA’s Indiana Pacers. 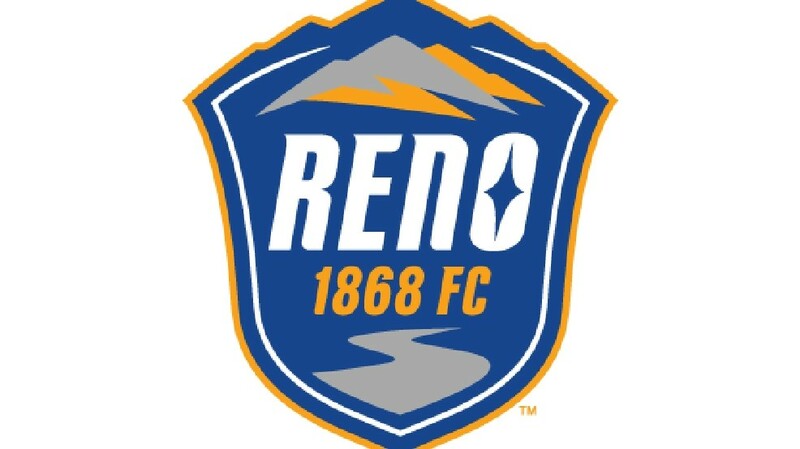 Sacramento Republic FC recently played a friendly in Reno against the Liverpool FC U-21s before a crowd of 6,287 at 1868’s future home of Greater Nevada Field. Reno signed a two-year affiliation agreement with the San Jose Earthquakes. San Jose will run all aspects of Reno’s soccer operations, making the partnership look more like Houston Dynamo’s arrangement with Rio Grande Valley than a traditional MLS-USL affiliation. Reno will still handle the business side of its operation. Former Atlanta Silverbacks GM Andy Smith was hired to run Reno’s soccer operations. September 2016 Update: Reno will host open tryouts on September 18th at the Moana Springs Recreational Complex as it looks to begin building a roster. Summary: Technically not an expansion team, the Austin Aztex are on-hiatus from USL for 2016 due to flood damage to House Park. Now, the Aztex will sit out the 2017 season after sitting out 2016, and the club does not seem to have made much progress towards getting back on the field. “There is no suitable stadium. Until there is, the Aztex won’t field a team,” Bobby Epstein, chairman of Circuit of the Americas and a majority investor in the Aztex, told the Austin American-Statesman. “I want Austin to have pro soccer,” Epstein said. “If there was a stadium, the Aztex would be playing now.” The Statesman reports that the club found University of Texas’ Myers Stadium too expensive, while they have also ruled out playing in high school football stadiums because they wouldn’t be able to generate revenues from alcohol sales. The paper reports that there has not been progress on the offer extended by the Austin Huns rugby club to share a stadium with the Aztex. More on the Austin Aztex. Summary: DMD Soccer has been awarded a USL franchise for 2018 contingent on acquiring a soccer-specific stadium. The DMD group includes investors with ties to health care companies including Marcus Whitney, chairman of Nashville FC, David Dell president and COO of LifePoint Health and Christopher Redhage, co-founder of ProviderTrust. The Nashville USL group acquired the brand of NPSL team Nashville FC in exchange for a 1% stake in the club and a seat on the club’s board. Chris Jones will serve as the GM of the Nashville FC USL club. Nashville FC has surpassed 1500 season ticket deposits. September 2016 Update: The soccer war for Nashville is over before it ever really began, with Bill Hagerty, the former head of the Nashville NASL group, re-focusing his efforts on bringing Major League Soccer to the Music City. Albuquerque: In an interview with Midfield Press earlier this year, Albuquerque Sol FC set a target of 2018 for a move up to professional soccer. Albuquerque is more likely to go to USL than NASL due to their status as a PDL team, a league which is owned by USL. However they would not rule NASL out. September 2016 Update: The bid to bring USL to New Mexico appears to be heating up. The Albuquerque Sol hired a consultant to do a feasibility analysis on a 5,000 to 10,000 seat stadium in the city. “The goal has always been said 2018 to go what’s called USL pro, which would be the equivalent of say the Isotopes,” said General Manager for Albuquerque Sol, Larry Espinoza, told KRQE. The club is looking for investors to help fund the stadium. Baltimore: The Wilmington Hammerheads supporters group the Port City Firm reported on their Twitter account that Baltimore is the top relocation target for the Hammerheads ownership group. Finding a good venue in the Baltimore area could be a challenge. Possibilities include Homewood Field (Johns Hopkins University’s lacrosse stadium) and Ridley Athletic Complex (Loyola University). Birmingham: Scratching The Pitch reported Birmingham, Alabama as a potential USL city along with their own rumors on Nashville and San Diego USL teams. The site reported that a link between the Birmingham Hammers NPSL team and the USL bid is not evident. Boise: Boise could be the home of a USL team soon, either an independent club or a Portland Timbers affiliate. T2 and Swope Park Rangers played a match in Meridian, Idaho, near Boise, to test the market. September 2016 Update: An article on the Idaho Business Review outlined several details of how pro soccer may unfold in Boise. Bill Taylor is leading a local group of investors who want to bring pro soccer to town. The Timbers remain interested in developing the market. T2 may six to eight “home” games in Boise over the 2017 season. Cleveland: Message board rumors should always be taken with a grain of salt, but Cleveland could follow on Cincinnati’s heels in USL, if rumblings from two local area posters (1, 2) on Big Soccer are to be believed. FC Dallas 2: FC Dallas has been rumored to be interested in starting its own USL squad for a while. Jason Davis reports that Dallas’s reserve squad may debut in either 2017 or 2018. Will Parchman reports that Dallas has preliminary plans to put a team in USL in 2018. El Paso: MountainStar Sports Group is reportedly working to bring a USL team to El Paso. MountainStar owns the El Paso Chihuahuas AAA baseball team as well as FC Juarez across the Mexican border. Fresno: A Fresno group other than the Fuego PDL club has its eyes on a USL franchise. According to a report from Evan Ream, the Fresno Fuego are being pressured to pay the USL’s expansion fee within six months or the other group will get the rights. “You look at some of the cities where soccer is flourishing, and I really believe Fresno has the fabric of a soccer town,” Schultz said. Las Vegas: The Las Vegas Review-Journal reported in March that the USL was interested in bringing a team to Cashman Field in Vegas. USL spokesperson Brett Lashbrook told the Review-Journal that there was a precedent of minor league baseball and USL sharing a stadium. The Las Vegas 51s AAA team is looking to move out of Cashman into a new stadium. 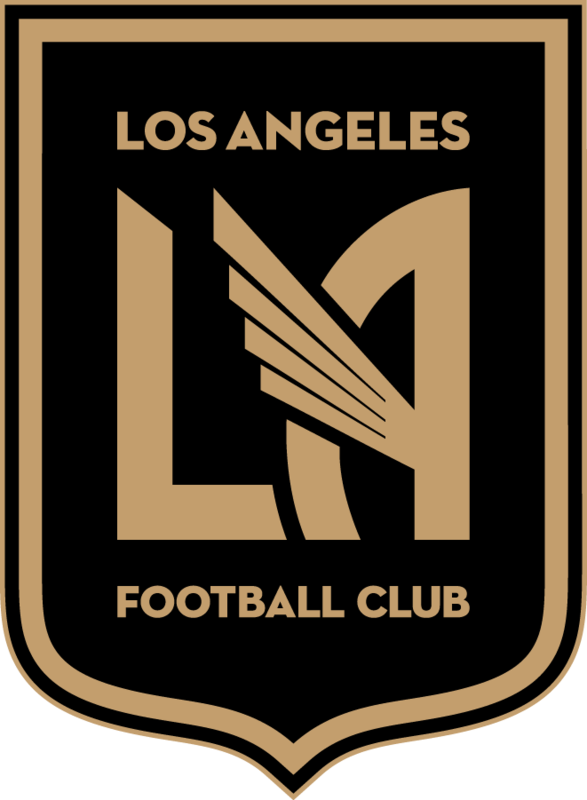 LAFC2: The Orange County Blues are reported to have new investors, making a Los Angeles FC takeover of the team less likely, though affiliation is still possible. The Orange County Register reported that LAFC is looking at building a complex in Tustin, California, which would include a 5,000-8,000 seat stadium, a suitable size for a LAFC2 USL squad. Ottawa Fury: The Ottawa Fury are rumored to be considering a switch from the NASL to USL after the 2016 season. Ottawa is said to be losing $2M per year in NASL and one motivation for the move to USL would be to reduce operating losses due to easier travel with more nearby teams. San Diego: NBC San Diego reports that USL is close to awarding a San Diego franchise to start in 2017 playing out of Torero Stadium. Scratching the Pitch and an in-the-know Big Soccer poster previously reported recent USL’s interest in San Diego. Donovan was previously linked to an ownership role in a San Diego USL team, but then denied those rumors on Twitter. Donovan recently acknowledged discussions with groups that want to bring MLS to San Diego. The US soccer legend recently acquired a small ownership stake in EPL club Swansea City. Tacoma: The Seattle Sounders are exploring the possibility of moving Sounders 2’s home to Tacoma. The club is working with the AAA baseball Tacoma Rainiers on a plan that would see the B side relocate from Starfire Soccer Complex to a new stadium. The Sounders seem focused on Tacoma, but have also considered moving their 2 side to Boise, Everett and Spokane, according to the Sounder at Heart report. Previously Midfield Press spoke with Rick Schantz, who signaled FC Tucson’s future intent on pro soccer. FC Buffalo: In an interview with Midfield Press, FC Buffalo indicated that they are actively pursuing investors to help them take a step up to professional soccer, though they did not indicate whether they were interested in USL or NASL. Detroit City FC: Detroit City FC continues to grow in NPSL, with a 48% increase in attendance in 2016 over 2015 as the club moved into its new home of Keyworth Stadium. Supporters raised $750,000 for renovations of Keyworth, and due to the success the club was able to return $107,000 to investors in the project. DCFC ultimately aims to return 35% of investors money in the renovations. Detroit averaged 5,255 for its 10 home matches, a number that would put it in the upper half of attendance in both NASL and USL. Detroit City has discussed moving up to a professional league in the past. 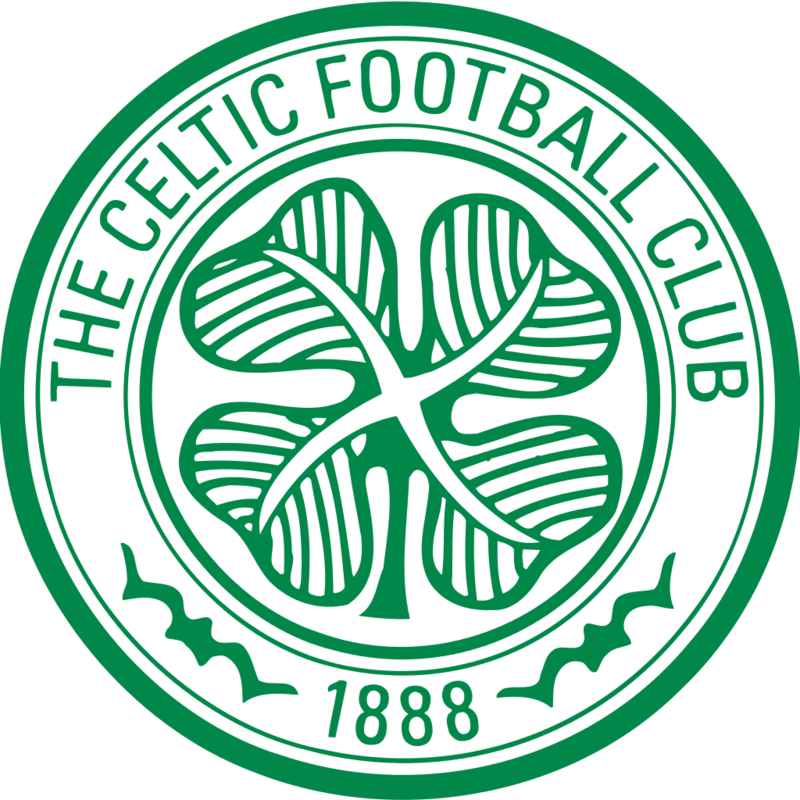 Lansdowne Bhoys: Celtic-affiliated Lansdowne Bhoys of the Bronx/Yonkers area of New York indicated an intention to go pro by 2018 amidst their US Open Cup run. Philadelphia Fury: Jonathan Tannenwald broke the story that the owner of the American Soccer League’s Philadelphia Fury, which plays in the South Jersey suburb Glassboro, is looking to partner with investors including a La Liga club to bring a NASL team to the Philadelphia market. The Philadelphia Fury is a classic NASL brand. Their potential investor group reported includes members from the Dubai and Las Vegas. SD Eibar’s friendly against the Fury at Rowan University was said to be related to these efforts. While Rowan University may not be an ideal location for a Philadelphia market team, it is one that the Fury are comfortable with. Empire of Soccer added that Fury owner Matt Driver has not yet secured the investment necessary to move to NASL and that as of their report had not been in touch with the league office about their plans. San Francisco City FC: San Francisco City FC has new investors that intend to take the team to a professional league by next year or 2018, reports Evan Ream. That league would likely be USL. Now that Minnesota United FC have been confirmed for the 2017 season, maintaining their name and logo, perhaps Major League Soccer will get moving on a confirmation of Miami’s debut date (probably 2018) as well as determining which cities will get franchises number 25 and 26, intended to debut in 2020. 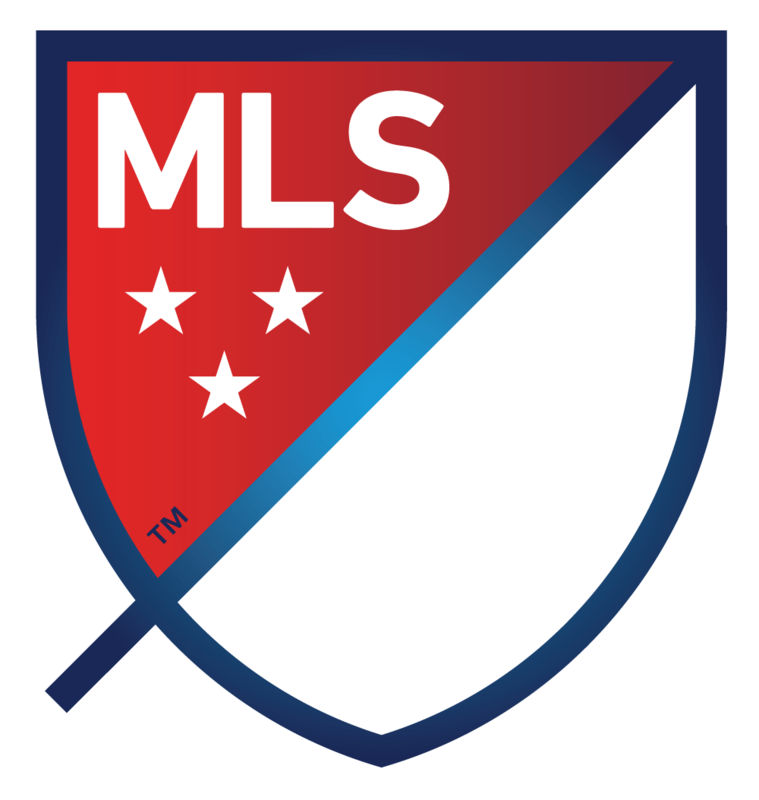 Bloomberg reports that MLS will be seeking over $200 million for a franchise in the league moving forward. That lofty number is not preventing more bidders from emerging, despite MLS’s claims that there may only be four expansion slots left. While the last priority order we have heard from MLS, via the Associated Press, has St. Louis and Sacramento in the lead, with Detroit, San Diego, San Antonio, Austin and Cincinnati following in that order. Now serious efforts in Nashville, Oklahoma City and Phoenix may change that picture. 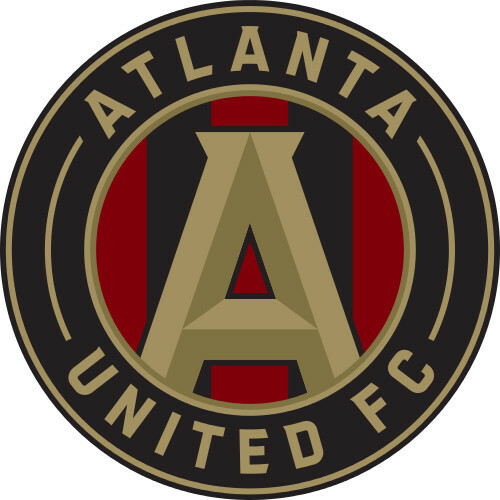 Summary: Set to debut in 2017, Atlanta United FC is owned by Home Depot founder Arthur Blank and will share Mercedes-Benz Stadium with Blank’s NFL Atlanta Falcons. They have already signed several players including former Atlanta Silverback Junior Burgos, who is on loan to the Tampa Bay Rowdies. Atlanta has setup an affiliation with the Charleston Battery of USL. Atlanta United made a major signing in July, in the form of Trinidad & Tobago striker Kenwyne Jones. September 2016 Update: Atlanta has sold more than 22,000 season tickets, and seem to be doing a good job converting their massive deposit numbers into actual sales. After signing Kenwyne Jones and being linked with Mexican star Andres Guardado, Atlanta is rumored to be one of three MLS teams pursuing German star Bastian Schweinsteiger. Minnesota United will switch from the NASL to MLS for the 2017 season. Contrary to earlier reports, the club did not have to change its name in deference to DC United and Atlanta United FC. The team is working on plans for a soccer-specific stadium in St. Paul, Minnesota, aimed to be ready in 2018. Minnesota will play at the University of Minnesota’s TCF Bank Stadium for at least once season as it awaits the completion of its own home. September 2016 Update: With Minnesota’s 2017 debut and the continuity of their brand now confirmed, Minnesota United must now prepare for the move to MLS. The league will hold an expansion draft that Minnesota and Atlanta can partake in, and Minnesota will be allowed to sign players from its current NASL squad that it feels are up to the challenge of MLS. More on Minnesota United FC. Set to debut in 2018, Los Angeles FC’s ownership is led by venture capitalist Henry Nguyen, entrepreneur Peter Guber and NBA exec Tom Penn, and includes famous names such as Magic Johnson, Mia Hamm, Nomar Garciaparra, Will Ferrell and Tony Robbins among its investors. 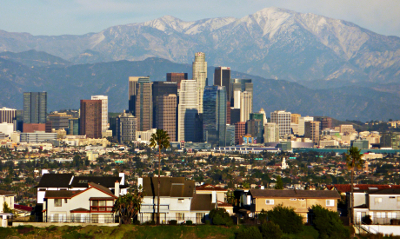 The club is building its stadium in downtown Los Angeles, on the site of the Los Angeles Memorial Sports Arena. A venue it controls in a location away from the Carson-based Galaxy will give LAFC a distinct advantage that Chivas USA never had as the second MLS team in the LA market. The Orange County Register reported that the club is looking at building a complex in Tustin, California. September 2016 Update: New majority investors have taken over Los Angeles FC, according to Bloomberg. Larry Berg, Bennett Rosenthal and Brandon Beck joined as lead investors according to the report. Minority owners Will Ferrell and Magic Johnson symbolically kicked off the construction of LAFC’s downtown stadium last month. Banc of California was revealed as the stadium’s naming rights sponsor. MLS may not be the only league LAFC enters in 2018, with rumors that minority owner Mia Hamm will spearhead efforts for an LAFC NWSL club. 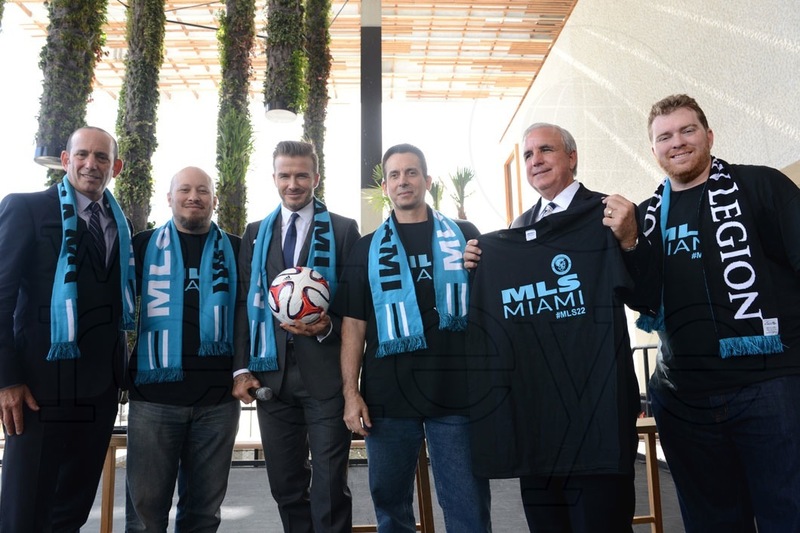 David Beckham’s star crossed saga to bring Major League Soccer to Miami may have had a breakthrough. Beckham’s investment group includes media mogul Simon Fuller and Sprint CEO Marcelo Claure. The Beckham group identified a piece of land in the Overtown section of Miami, but have balked at demands from Miami-Dade County. Previous talks with the Qatari owners of Paris Saint Germain reportedly broke down, but it appears that new investors have emerged to help Beckham achieve his long delayed goal of bringing MLS to Miami. September 2016 Update: Sacramento Republic owner Warren Smith told the Sacramento Bee that the Republic’s time frame might be approaching because, “[MLS] resolved the Miami issue, so maybe we’re next.” This coincides with reports that Fortress Investment Group’s Wesley Evans has joined Beckham’s team of investors, providing more deep pockets and connections in the community. Sacramento is the MLS bid that has it all. They have a strong fan base in USL, support of the local government, a downtown stadium plan and an investor group that includes NFL (49ers) and NBA (Kings) owners. Sacramento is the odds-on favorite for the 25th MLS expansion spot, and could debut earlier than Miami if Beckham’s group cannot get their stadium situation nailed down. “Ideally the best for us is to have the USL team play in a place where we could sell out the new facility (in the downtown railyards) and hopefully sell out the facility for the USL. Does that mean in the market? Does that mean in a different market? Or does that mean an affiliation? More on Sacramento Republic FC. When the NFL Rams departed St. Louis for Los Angeles, Major League Soccer perked up about the opportunity to bring MLS to St. Louis. The city has long been a target of MLS, dating back to when the Philadelphia Union beat out a Jeff Cooper-led St. Louis expansion bid. The MLS2STL group exploring a potential MLS bid includes the Jim Kavanaugh of the USL Saint Louis FC club, former Anheuser Busch president Dave Peacock and St. Louis Cardinals president Bill DeWitt III. “This particular ownership candidate is still in a period of due diligence,” Woodcock said. “There’s no timetable for this candidate or any candidate. … This particular ownership candidate is very financially viable, has a strong personal and professional interest. One thing that’s fair to say is this particular candidate has connections with other league owners in Major League Soccer and has some professional sports experience. The St. Louis Post-Dispatch reports that ex-Rams players Chris Long and Aeneas Williams have discussed becoming minority investors in the project. September 2016 Update: A second group has emerged in the effort to bring MLS to St. Louis. Dan Cordes, an early employee at Express Scripts, is the public face of the Foundry St. Louis group. The article states that the Foundry group is looking at land north of St. Louis University’s medical center as a stadium site. They are also open to joining forces with the MLS2STL bid. 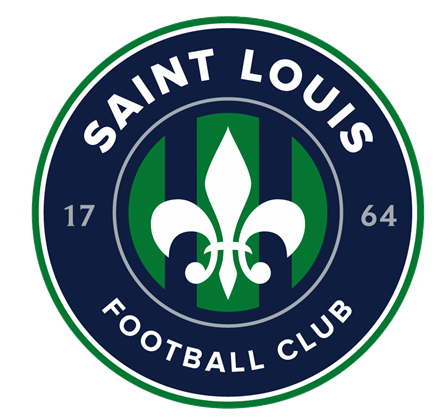 More on Saint Louis FC. Detroit Pistons owner Tom Gores and Cleveland Cavaliers owner Dan Gilbert are teaming up on a bid to bring MLS to the Motor City. The fact that Detroit is one of the largest US markets MLS is not in today and its impressive investor group means it joins Sacramento, St. Louis and San Antonio as MLS expansion frontrunners. Tom Gores told the Detroit Free Press that, while the group prefers the Wayne County jail site for its stadium, it is open to other ideas. “Dan [Gilbert] is working on it. We’re not married to (the jail site). What we’re married to is getting another sports team in Detroit. 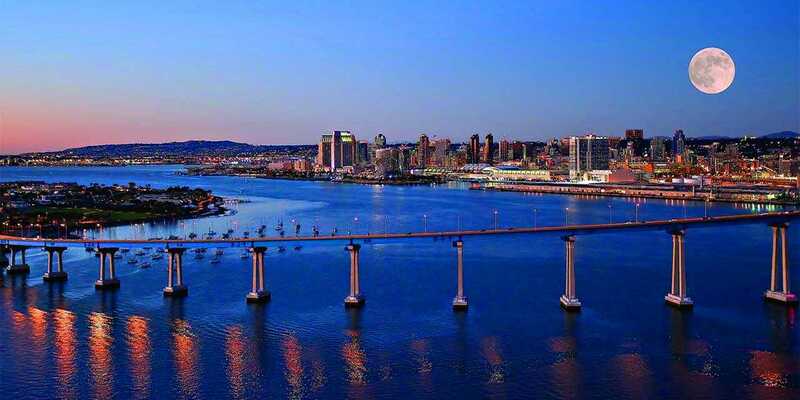 Like St. Louis, San Diego becomes a very appealing opportunity for MLS should the Chargers leave San Diego for LA, despite MLS already having two teams in Southern California. Former San Diego Padres owner John Moores showed interest in bring MLS to San Diego. Moores was recently involved in a bid for Everton FC. in a separate group from Moores, the San Diego Union-Tribune reports that San Diego Padres owner Peter Seidler is partnering with retired Qualcomm executive Steve Altman and private equity investor Mike Stone on an MLS bid. “My interest flows from the fact that I have a lot of respect for Mike Stone because of his approach and his leadership qualities and his analytical view of things, and because we look at the sports world from a similar perspective,” Seidler said. In terms of where the team would play, there is talk of partnering with San Diego State University on a stadium in Mission Valley. Spurs Sports & Entertainment launched the USL San Antonio FC with the express intent of bringing the team to MLS. 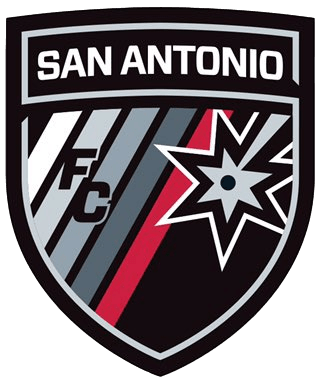 San Antonio FC essentially replaced the San Antonio Scorpions of NASL when the county bought the rights to Toyota Field from Scorpions owner Gordon Hartman. As part of the deal SS&E made with the city and county, it will have to pay them a penalty if the team is not in MLS after six years. September 2016 Update: San Antonio Express-News columnist Roy Bragg points out that as competition increases for the four MLS berths the league says are up for grabs, San Antonio’s chances are looking dimmer. More on San Antonio FC. Aztex owner Rene van de Zande and Bobby Epstein, CEO of the Circuit of the Americas, have been working to bring a MLS team to Austin. 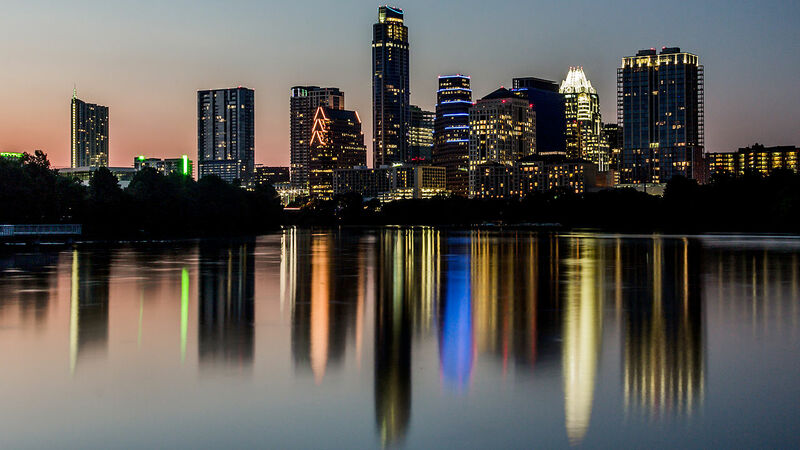 Austin’s inclusion in Don Garber’s recent list of MLS expansion candidates is somewhat surprising, since the city is located so close to San Antonio. The idea that Austin is competing with San Antonio for a final Texas MLS berth became more curious with the news from the Austin American-Statesman that van de Zande and Epstein’s Austin Aztex will forego the 2017 USL season after sitting out 2016. Successful new USL franchise FC Cincinnati reached out to MLS to inquire about expansion, but was told it may take a few years. Their impressive box-office success has forced Cincinnati into the conversation for the 24-28th MLS franchise berths. September 2016 Update: FC Cincinnati leaders are said to have held talks with MLS officials in New York in recent weeks, according to WCPO. Las Vegas Sands Group board member Jason N. Ader is interested in investing in a Las Vegas MLS team. MLS rejected Las Vegas bid supported by Mayor Goodman and Findlay Sports and Entertainment previously. It may be telling that Las Vegas did not appear on Garber’s prioritized list of expansion locations reported by the AP. However, since that time the National Hockey League awarded Las Vegas a new franchise to start in the 2017-2018 season. The significance of this move for MLS is that the NHL has become the first league to make the leap to Vegas. With the unspoken taboo broken, other leagues may follow. The Oakland Raiders NFL team is seriously flirting with Vegas, and mayor Carolyn Goodman is confident the city will have three “major league” teams within 10 years, according to Fox Sports. 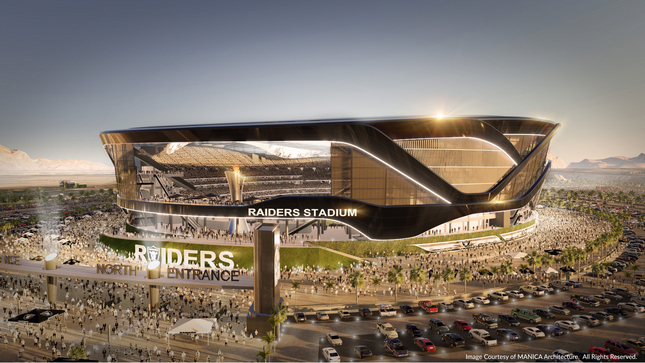 September 2016 Update: A potential move by the NFL Raiders to Las Vegas heated up this past month, with Las Vegas Raiders being trademarked and renderings of a potential stadium being released. The San Jose Mercury News reports that “an unnamed Major League Soccer franchise was also interested in using the space.” While that phrasing implies relocation, an expansion bid is more likely especially considering one of the companies seeking to build the Raiders stadium is the Las Vegas Sands Group, whose board member Jason N. Ader has been vocal about a desire to bring MLS to Vegas. The Rest of the Field: Nashville has emerged as a serious MLS contender with the leader of the former NASL group, Bill Hagerty, heading up the effort… Arizona United SC’s new investors, a group of leading Phoenix businessmen, are interested in “growing the game to new heights”… The owner of the Oklahoma City Energy acquired 37 acres of downtown land with eyes towards building a soccer specific stadium for the club that would help it push for MLS… Louisville City FC’s stadium study confirmed the team’s need for a 10,000 seat soccer specific home of its own in order to continue the club’s growth. The report also contains information on a larger scale stadium that would be needed for MLS … Local reporters have connected the Carolina Railhawks and Tampa Bay Rowdies to MLS moves as part of articles on their stadium efforts…. The Charlotte Independence have expressed interest in a move to MLS, and the CEO of Charlotte’s Chamber of Commerce echoed hopes that the Queen City could become home to a MLS team, according to the Charlotte Observer. “Basically it will be a CFL-NHL mix of ownership,” John McGrane, a minority partner in the prospective Hamilton soccer team, told The Hamilton Spectator of the potential Canadian Premier League. The League is expected to start play in 2018. Duane Rollins reports the CanPL will likely look like the Canadian Football League minus Edmonton. The CFL has teams in Toronto, Montreal, Vancouver, Ottawa, Calgary, Winnipeg, Regina and Hamilton in addition to Edmonton. 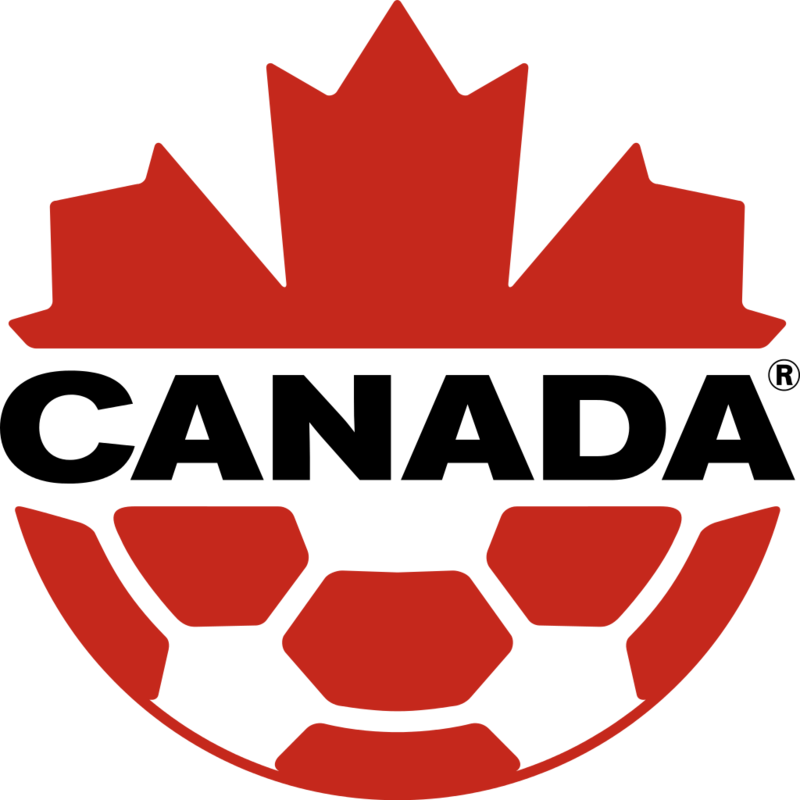 Rollins also reported that the Ottawa Fury is expected to defect to this league, while FC Edmonton plans to stay with NASL. CFL.ca writer Carlos Verde reported on Twitter: “Source: Canadian Premier League wants “Victoria, Edmonton, Calgary, Hamilton, (GTA), Ottawa, Quebec, (Maritimes)” as founding eight.” In follow up tweets, Verde said his source told him the CanPL will “laregly steer clear of MLS markets” and seemed more optimistic about Edmonton joining the CanPL than Rollins, despite the Fath’s ownership stake in NASL. In one of the more tangible signs of life for the Canadian Premier League recently, the Hamilton club issued a survey to fans about its potential soccer team. September 2016 Update: Rumors that the Ottawa Fury may be looking to leave the NASL for USL after the 2016 season have interesting implications for the status of the Canadian Premier League. While Ottawa is said to be losing up to $2M per year, paying an expansion fee approaching $4M would not make sense unless the Fury planned to stay in USL for a while. It is possible that USL would waive or reduce the current going rate for Ottawa. The Fury Fanatic twitter account, which broke the Ottawa-to-USL rumor, insists that if the club goes to USL, which it feels is likely, the Fury will be for there for the long haul. A subsequent exchange between Fury Fanatic and Duane Rollins speculates that a Canadian league could materialize as a division of USL, as had once been planned for NASL. With the Hamilton club apparently doing due diligence to prepare for a launch, one must wonder in what league they would play if the CanPL does not materialize. Please done use Roy Bragg as a source for SAFC. He is a anti soccer troll that works for the paper, and has not clue on what MLS is looking for. His article that you mentioned had more holes than Swiss cheese.